Following the launch of the M2 in 2009, the introduction of the M10 25.3 further strengthens Cargotec's Hiab Moffett M-Series, as a dedicated model for all applications that require regular on and offloading from one side of the truck or trailer. The M10 25.3 is the result of extensive research and close cooperation with customers in order to deliver a modern telescopic boom machine that matches today's requirements and expectations. Typical application areas that employ one-side offloading are Turf and Lawn Products, Fertiliser (Palletised and/or Bulk Bags), Brick and Block, Architectural Stone Products, Animal Feeds, Scaffolding, Timber Products, etc. 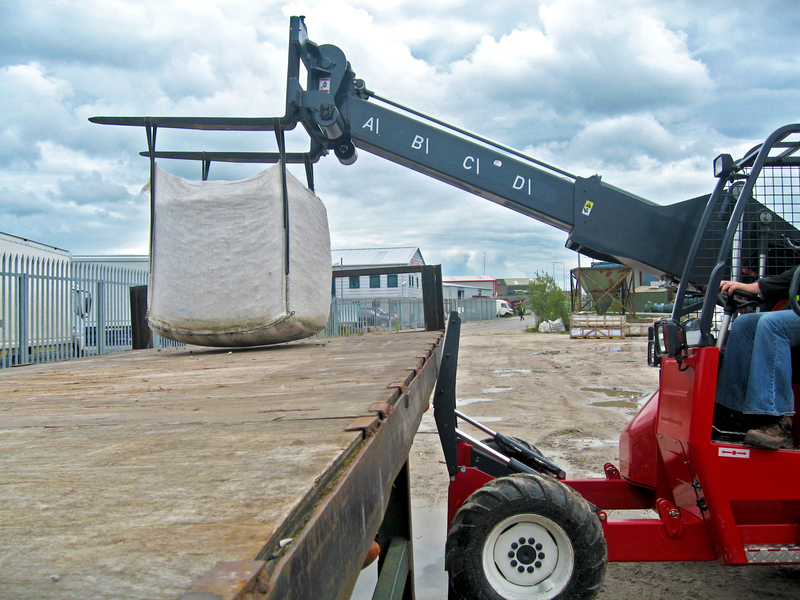 The telescopic boom allows loading and unloading of single stacked loads from one side of the trailer bed and eliminates the need to move the vehicle during the loading/unloading process. This saves valuable time enabling more deliveries in less time. 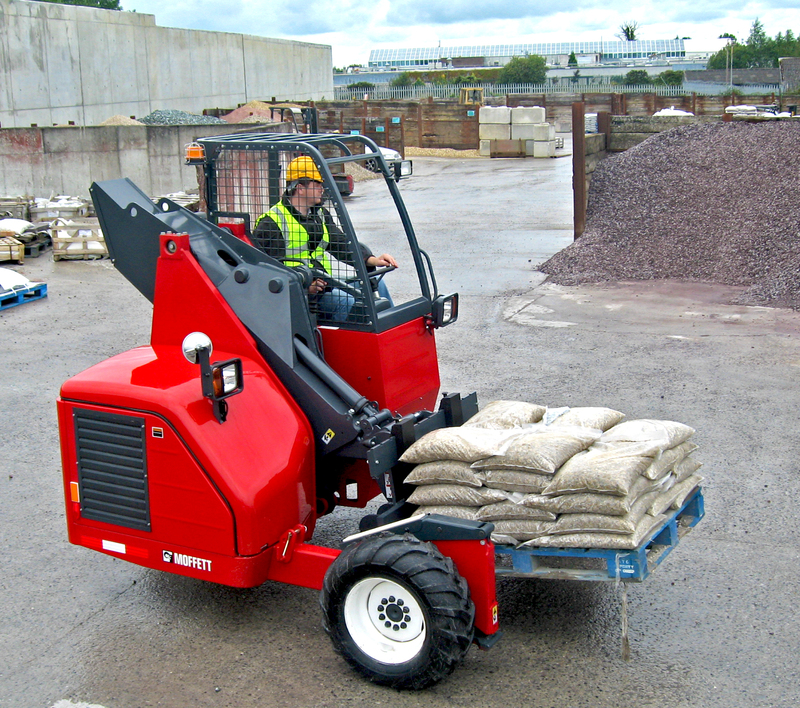 The Hiab Moffett M10 features the modern look and durability of the M-Series that the truck-mounted forklift manufacturer is renowned for. Excellent operator ergonomics are reflected in the modern and spacious layout of the driver compartment which boasts a generous 360° visibility, together with the arrangement of the dash panel and automotive drive control with easy joystick control. The 37.3 kW / 50hp strong Kubota engine guarantees outstanding performance and smooth operation along with reduced noise and vibration. The M10 features outstanding off-road capability and gradability for the toughest working environment. With its tight turning circle the M10 easily negotiates the busiest and most confined conditions. Like any other model in the M-Series the M10 25.3 has been designed for optimised serviceability. With easy access to all fill points and engine bay, both bonnet and radiator grill are easily removable. Whenever time and space are tight, the truck-mounted forklift is the mobile off-loading device that saves time and money. Mounted/dismounted in less than a minute, it eliminates waiting times on site, reduces product damage and helps improve customer service. The truck-mounted forklift continues to be an indispensable asset when it comes to increasing fleet efficiency. The new M10 25.3 marks the launch of a telescopic boom machine that offering a wide range of one-side offloading applications, providing the same ergonomics and performance as in models with conventional mast. Typical application areas that employ one-side offloading are Turf and Lawn Products, Fertiliser (Palletised and/or Bulk Bags), Brick and Block, Architectural Stone Products, Animal Feeds, Scaffolding, Timber Products, etc.